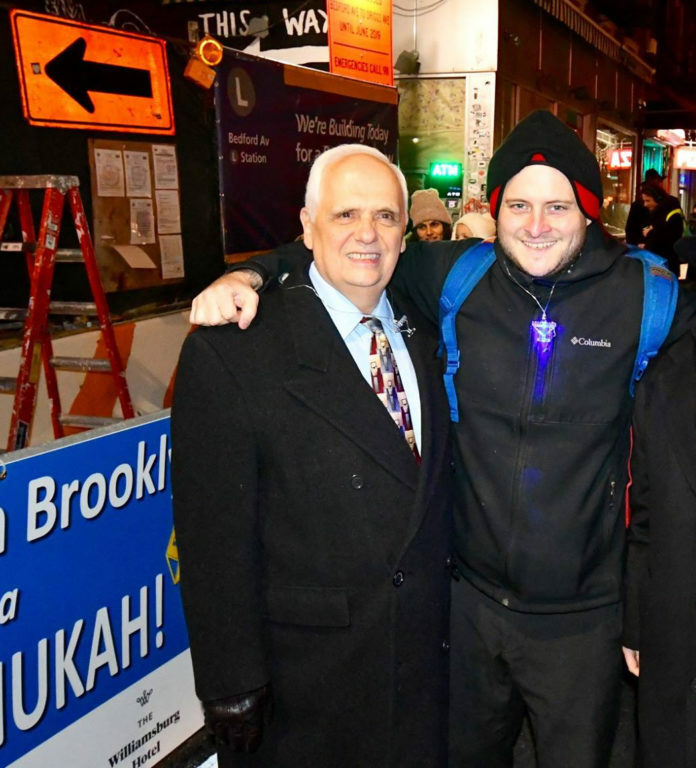 Assemblyman Lentol and Chilly Pete at a Chanukah Menorah lighting in December 2018 outside the Bedford Ave L Train Stop in Williamsburg. With shocking last minute news coming from Governor Cuomo’s hastily arranged Thursday afternoon press conference that the Manhattan/Brooklyn L Train will not be shut in its entirety for 15 months beginning in April, host Chilly Pete speaks with local Assemblyman Joe Lentol to better understand the news. What alternate travel accommodations will remain in place on nights and weekends, how much money will the new plan require, and is Assemblyman Lentol comfortable with Governor Cuomo’s non-traditional approach to this issue? They also discuss pending legislation in Albany that is set to legalize cannabis for consumer use in this upcoming legislative session. Chilly Pete is then joined with transit consultant Joe Anastasio of Access Queens who authored the organization’s L train closure analysis plan. They discuss the logistical dilemmas that will still exist during the L trains night and weekend disruptions for the next few years as the work is slated to take at minimum 15 months to complete.